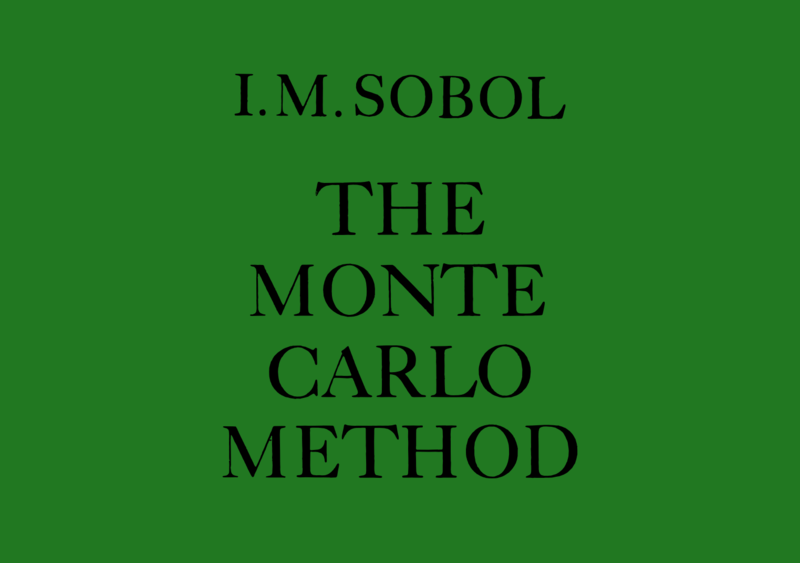 We now come to The Monte Carlo Method by I. M. Sobol in the Little Mathematics Library series. The book has a random number table as one of the appendices, which is sort of out dated, when we have access to computers so easily. theory: the presentation is simplified and proofs are omitted. But it still presents certain concept of the random variables sufficient for understanding of Monte Carlo techniques. The basic aim of this book is to prompt the specialists in various branches of knowledge to the fact that there are problems in their fields that can be solved by the Monte Carlo method. Peter Fortini. You can get the LML version here. This entry was posted in books, little mathematics library, mathematics, mir publishers, statistics and tagged monte carlo method, numbers, probability, proofs, pseudo random, public lectures in mathematics, random, simulations, variables. Bookmark the permalink. Excellent books. Please keep up your extraordinary work. Expect more books. Read this, we are trying to update as many as possible.